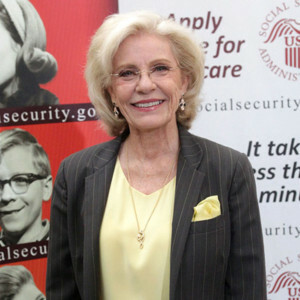 Oscar-winning actress Patty Duke, star of “The Patty Duke Show” and the Broadway play and film “The Miracle Worker,” died of sepsis from a ruptured intestine on Tuesday. Simple though it may seem, her death announcement is a major milestone for the sepsis awareness movement, said Thomas Heymann, executive director of the Sepsis Alliance. The more people are aware of this condition, Heymann said, the stronger their likelihood of saving their own lives or the lives of their loved ones. Sepsis, a reaction to infection that leads to systemic organ failure, kills more than 258,000 Americans every year, according to the U.S. Centers for Disease Control and Prevention, making it the ninth-leading cause of disease-related deaths in the country. While most people can fully recover from sepsis, some survivors are left with permanent organ damage or missing limbs due to amputation. Despite these alarming facts, less than half of Americans have even heard of sepsis, according to polls conducted by the Sepsis Alliance in partnership with official polling companies. In a 2015 online survey of 2,000 participants, only 47 percent of Americans were aware of sepsis. Meanwhile, 86 percent knew about Ebola and 76 percent knew about malaria — two diseases that are much rarer in the United States. People who have sepsis experience organ dysfunction caused by their body’s overreaction to an initial infection, whether viral, bacterial or fungal. This overreaction is overwhelming for the body, and can lead to death. It’s most common in people with compromised immune systems, like the very young, the very old and those with chronic diseases like AIDS, cancer, or diabetes. But people can also develop sepsis from a simple scrape, wound or burn that was not properly cleaned. Sepsis is also on the rise: It was the primary or secondary cause of 1.6 million hospitalizations in 2009, more than double the sepsis-related hospitalizations in 1993, according to a report from the Agency for Healthcare Research and Quality. And it was the single most expensive reason for hospitalizations in 2009, adding up to nearly $15.4 billion in hospital costs. In one highly publicized, tragic story, a 12-year-old boy named Rory Staunton scraped his arm while playing with friends in 2012 and eventually began vomiting and complaining of pain in his leg. Doctors sent him home with Tylenol, but three days later he died from severe septic shock. Rory’s case highlights a major difficulty doctors face: Sepsis symptoms can be hard to discern from those of a simple infection that could go away on its own. What’s more, sepsis is often thought of as a hospital-acquired infection, making doctors more likely to look for it among hospital patients and the chronically ill. But about two-thirds of cases are first documented by the emergency department, which means that they were acquired outside of a hospital setting, explains Dr. Craig Coopersmith, professor of surgery at Emory University School of Medicine and the former president of the Society of Critical Care Medicine. To avoid deaths by sepsis, Coopersmith has two basic rules for physicians: If a person has an infection, check for organ dysfunction. And if they have organ dysfunction, check for sepsis. Context also counts for a lot when spotting the signs of sepsis. In addition to symptoms such as high fever, elevated heart rate, or abnormal white blood cell count, a medical history of pneumonia, infection, wounds or urinary tract infections could provide important clues for health care providers, notes a sepsis review published in the journal Nursing Practice. Other clues, like a patient’s cancer and chemotherapy history — known factors that can suppress the immune system — are stronger clues that an infection could actually be sepsis, notes ABC News. The signs of sepsis can be broken down in a simple acronym, notes the CDC. Once spotted, doctors treat sepsis by addressing the initial infection, supporting the body’s organs and preventing drops in blood pressure and oxygen levels. But time is of the essence when it comes to sepsis treatment. A 2006 study analyzing over 2,000 septic patients found that over six hours, each hour of a delay in treatment was linked to a 7.6 percent decrease in survival, but treatment within the first hour of a documented drop in blood pressure, a tell-tale sign of sepsis, was linked to an 80 percent survival rate. Because of this, if you suspect you have sepsis — perhaps after a surgery, or because of a prior infection or wound that isn’t healing well — it’s important to actually say the word “sepsis” to your doctors, the CDC says. They advise patients to say, “I am concerned about sepsis,” in order to get the most timely treatment possible for a potential infection complication. Your life could depend on it, says Coopersmith. About the writer: Anna Almendrala is a Healthy Living editor for the Huffington Post. She was born in Manila, Philippines and grew up in New Zealand and California. She graduated from U.C. Berkeley in 2006 with a double major in Rhetoric and Spanish and has previously worked for Sojourners and Brave New Films. She lives with her husband in Los Angeles.